Email that has been circulating in the past few days that planet Mars will be within 34.65 million miles of Earth, 27th August, Monday night and will appear as a “second moon” in the night sky is not true, as we know it. That actually happened on Aug. 27, 2003 when Mars and the Earth had their closest encounter in nearly 60,000 years. 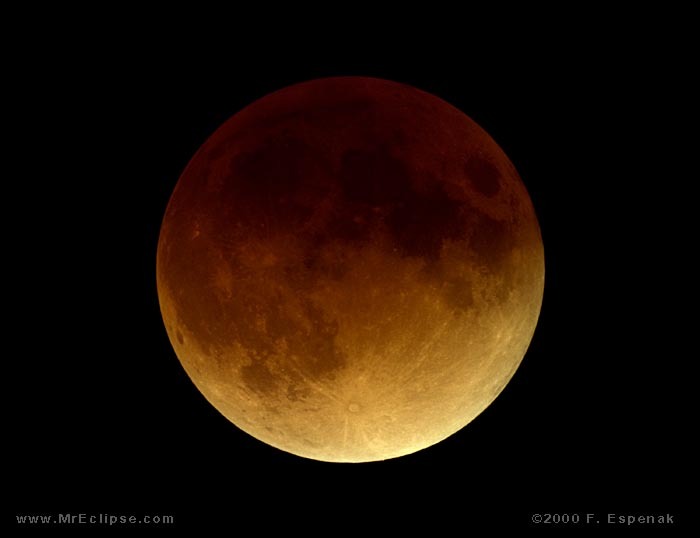 In the early morning hours of August 28, sky watchers across much of the world can look on as the Moon crosses in to the shadow of the Earth, becoming completely immersed for one-hour and 30 minutes, a period of time much longer than most typical lunar eclipses. In fact, this eclipse will be the deepest and longest in 7 years. The event begins 54 minutes past midnight PDT (3:54 a.m. EDT) on August 28. 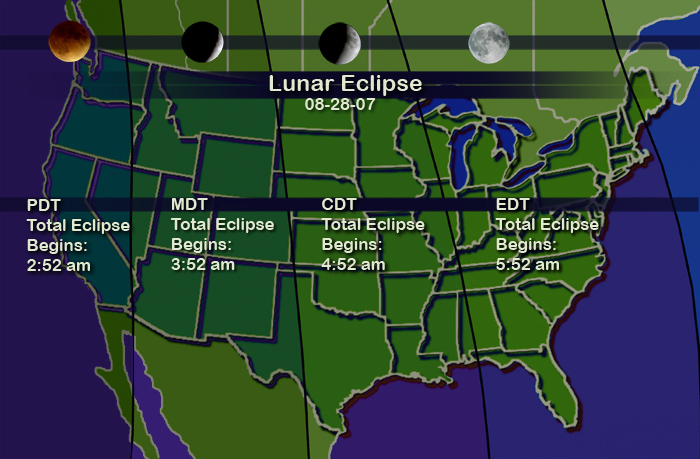 For those in the US, here’s the map of the United States showing eclipse start timemore, and information on eclipse – NASA eclipse home page. The eclipse will be visible from Australia, parts of Asia and most of the Americas, but not from Africa or Europe.